Advance CTE will be writing a series of blog posts profiling the policies and practices of free college in the United States. This post will explore one example of a free college program. Check out last week’s blog on the history of free college, and look for future blogs on the challenges and future of free college. The idea of free college has gained traction in a number of states. Indiana has been at the forefront of this movement, and has had some form of free college for the past 30 years. 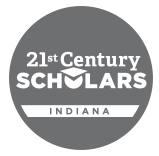 Currently, Indiana’s 21st Century Scholars program allows participants up to four years of free enrollment at a two or four-year institution. This covers the cost of tuition and any additional fees. Indiana is unique in including four-year colleges in this program, since fewer than half of states with free college initiatives include four-year institutions in their policies. This program covers tuition on a “first dollar” basis, meaning that students remain eligible for other forms of aid to go toward non-tuition expenses. Any additional aid learners might receive from the state is not impacted by grants received to cover non-tuition charges. In 2017, the program granted over $160 million in financial aid. As of the fall of 2018, there were about 80,000 program participants throughout middle and high school and 20,000 in college. This program has bipartisan support in the state. This entry was posted on Thursday, October 4th, 2018 at 7:58 am	and is filed under Uncategorized. You can follow any responses to this entry through the RSS 2.0 feed. Both comments and pings are currently closed.